Our location is located close to several tube stations and within 10 minute walk form Kings Cross main line. Please fill in the short form and a Trichologist will call you back shortly. Thanks you. From Chancery Lane Tube Station – The closest tube station is Chancery Lane. Exit the station (Exit 1) and you are at the start of Gray’s Inn Road. Walk for about 5 minutes along Gray’s Inn Road during which time you will pass a crossroads (Theobalds Road). We are located on the left side of the road (odd numbers on the left) opposite number 200. From Farringdon Tube Station – Exit the tube and turn onto the Farringdon Road. Turn Left onto the Clerkenwell Road and then turn right onto Gray’s Inn Road. We are located on the left side of the road opposite number 200. 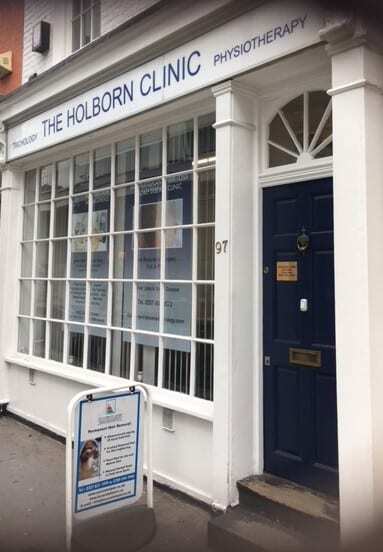 Welcome to the Holborn clinic. Press the bell on the front of the door to be guided into reception. Please have our number in your phone in case of difficulty finding us. Disabled access – Our premises is on the ground floor. Access is via the front door which has two small steps. We are able to offer assisted to wheelchair and other disabled persons with the use of a ramp. Please advise when you call to ensure we are able facilitate entry without delay. Please note that our toilets are located on the lower ground floor. Due to the layout of the building we are unable to facilitate wheelchair access in the basement. We offer a home visit service. This will depend on your location. Feel free to ask about this service. Thank you. Consultation £95.00 which includes treatment administered on the day. Treatment – if treatment is advisable we will fully explain what this entails. Please note that out treatment is totally pain free with no side effects. Wet Treatment £45.00 This will take between 1 hour – 1 hour 30 mins depending on how long the hair is and the condition that we are dealing. Wet treatments tend to be for those requiring treatment for an scalp condition viz: itchy scalp, dry scalp, contact dermatitis etc. Dry Treatment – £37.50 – these tend to be for those suffering from hair loss conditions. We would estimate that we need approx 40 minutes to complete the treatment. We do not pass your details to anyone else. This is strictly an email system direct to our clinic. I know what it is like to receive unwanted mail.